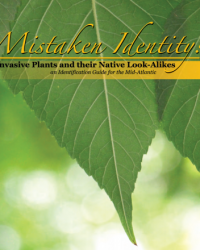 Matt produced this publication for the Delaware Department of Agriculture in December 2010 with funding from a USDA Sustainable Agriculture Research and Education grant. Click here to download. Matt led a team of 5 coauthors in creating this photographic identification guide. 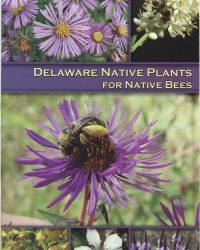 Funded by USDA-NRCS, project collaborators included the Delaware Department of Agriculture, Delaware State University, Delaware Center for Horticulture, and Delaware Invasive Species Council. Click here to download. 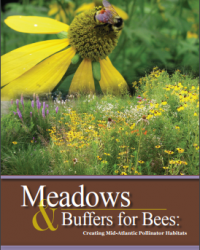 Originally published in 2007 (funded by USDA-NRCS and Delaware Department of Agriculture) this booklet was very popular among master gardeners and others in Delaware and surrounding states. It didn’t take long for the original print run to disappear. In June 2009, Matt updated the original version for reprinting by the Delaware Department of Agriculture. 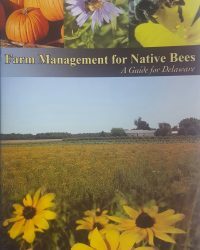 This 2007 companion guide to Delaware Native Plants for Native Bees was written with farmers in mind, but would be useful to any landowner wishing to improve their bee habitat.